“Hague and Gunflint Lakes are typical lakes and the challenges we are having there are also typical when you have a human community that lives around a body of fresh water … The problem is human septic and livestock concentrating nutrients and then passing that into the water table, which then drains into the lake. Those nutrients are feeding the algae booms,” says Weyler. He is one of the two scientists who started monitoring the problem on Cortes Island during the spring of 2014. 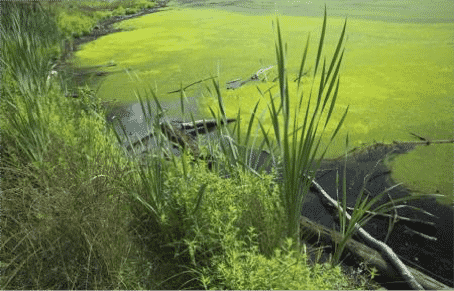 There was an “annoying smell,” caused by decomposing algae, for about two weeks. Swimmers reported an unusually high number of irritations and clouds of algae through the summer. Lakeside residents reported fish die-off along the northeast and northwest shorelines of Hague Lake. The lake water is still safe to swim in and, using a filtration system, to drink.